Types of IVC Filters | Nashville Product Liability Lawyers The Law Offices of John Day, P.C. IVC filters can either be permanent or retrievable. Retrievable filters are relatively new and were marketed to patients who do not have a long-term risk of developing clots such as bariatric, orthopedic and trauma patients. Once the risk of a pulmonary embolism has passed, the filter can and should be removed. The filter should be removed because over time there is a much higher risk that the filter will break, adhere to the wall of the vein, migrate in the vein or perforate the vein or an organ. In fact, in August of 2010, the FDA published a notice encouraging all medical providers to be mindful of the need to remove the retrievable filters based on the clinical indications for each individual patient. This warning was issued because of the number of adverse events being reported to the FDA. 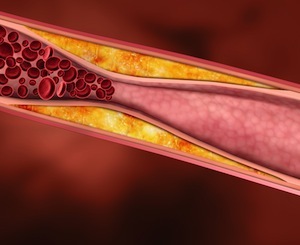 In May of 2014, the FDA noted in another safety communication that many doctors were not adequately warned about the importance of removing the IVC filter after the risk of EVT had passed. This same communication urged doctors to retrieve the IVC filter if the patient was under no present threat for a clot. At The Law Offices of John Day, P.C. we have decades of experience in helping injury victims and their families. Our award-winning attorneys are currently accepting IVC filter cases. If you would like to talk to us about your potential case, call us anytime at 615-742-4880 or toll-free at 866.812.8787 for a free, no-obligation consultation. We handle all IVC filter cases on a contingency basis which means you do not pay us anything out of pocket. We only get paid if we recover money for you.